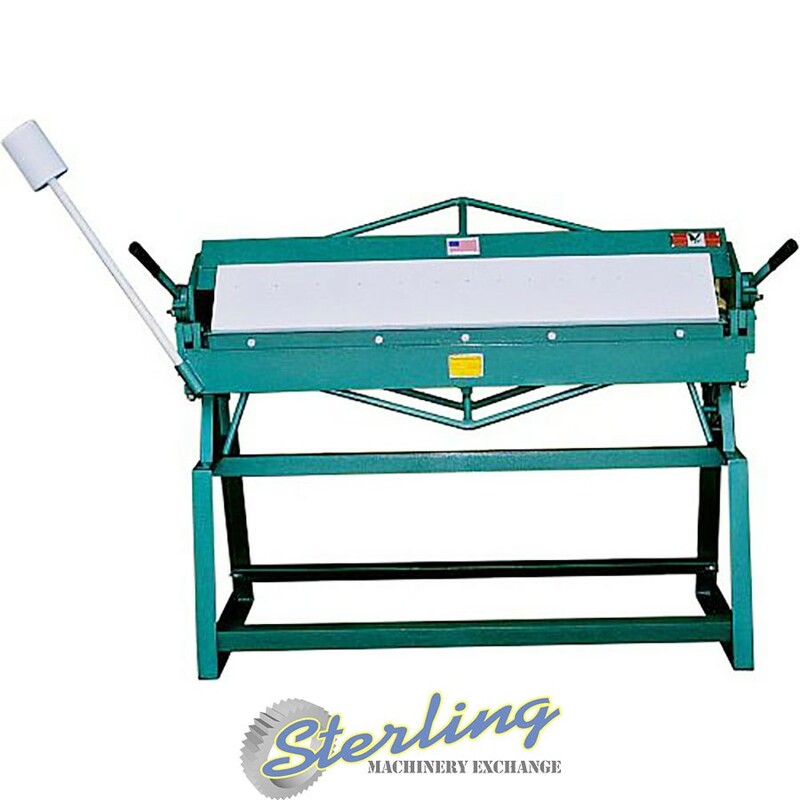 69" x 30" x 36"
The Tin Knocker line of sheet metal working machinery was specifically developed to meet the needs of the small to medium sized HVAC contractor and general sheet metal fabricators. The line is unique in that it is the only line which has all machines necessary to set up a complete HVAC or general sheet metal shop. 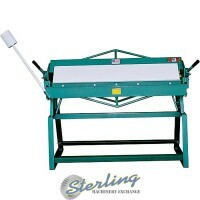 Some machinery manufacturers make roll formers, but no shears and brakes. Others make slitters or beaders, but no shears, brakes, roll formers, notchers or CNC plasma machines. Tin Knocker produces all of what the contractor needs... and at low prices that can be justified. As for quality, Tin Knocker is second to none. All our machines are of tried and tested U.S. designs, meticulously replicated (down to the bearings, steel quality and type) to ensure consistently high, industrial quality. Since 1997, Tin Knocker has been meeting the machinery needs of contractors all over the Americas and in many other countries. Whether it's a shear, brake, beader, slitter, roll former, punch, bender, plasma machine, rolls, flanger or spot welder, Tin Knocker has it in stock and at affordable prices. Tin Knocker is not sold direct. We have a network of HVAC wholesalers and key dealers across the country and around the world, making it easy and comfortable to make a purchase.